This license category D1+E training courses are aimed at those drivers who already have a D1 license (with a permissible vehicle of 3.5tons MAM) but are willing to drive a vehicle with an additional trailer of over 750kgs. The MAM of this combination should not exceed 12000kgs. Different countries follow different rules but on a macro level, they stand the same. The basic eligibility age for acquiring a driving license is above 18 years. However, for an upgrade to the D1+E license, one has to pass certain tests of skills and behaviour; otherwise generally, the minimum age for eligibility remains 21 years. Individuals having appeared for driving tests before 1 January 1997 are eligible for D1+E license entitlement. They will have an absolute towing vehicle and additional trailer, with a combined MAM of 4250kgs. 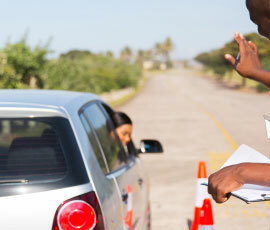 Those who have passed the driving test after 1 January 1997 will have to go through a longer process. They will have to attempt D1 theory and practical, followed by D1E practical. The D1 license holders can upgrade their license thus. 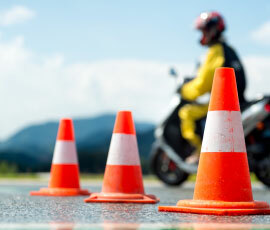 The practical tests usually are taken on the vehicle the individuals have taken their training on. Theory tests have to be passed too. Answer approximately 5 questions on basic vehicle checks. Reverse into a marked bay. Drive for approximately 1 hour around the town including hill starts and motorway driving. When you obtain the provisional entitlement, you may take the test for the new category, to which you wish to upgrade. If you are above 45 years of age and holding a D1 license, you will have to undergo a medical examination to ensure that your D1+E license remains valid. Taking a test for D1+E license is a necessity if you are seeking employment in the breakdown and recovery sector.